Spring is officially here but you wouldn’t really know it from the late spring snow storm on Friday nor the bone chilling winds today. 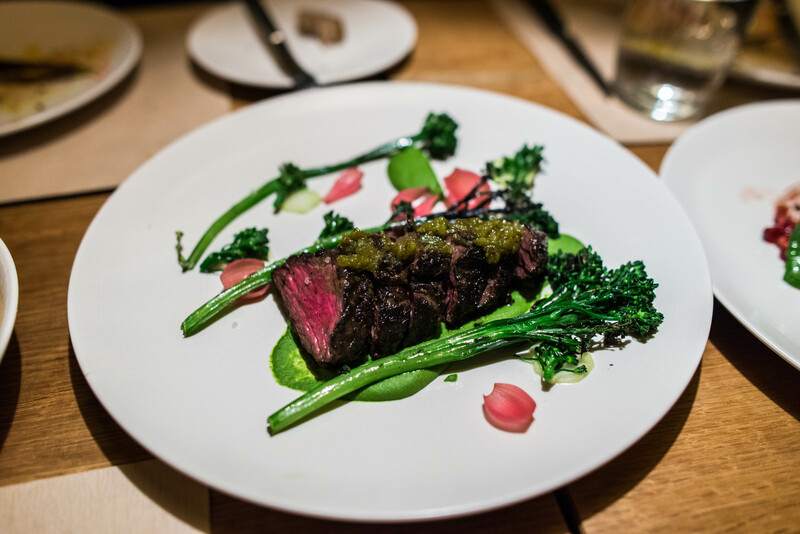 Friday’s winter storm reminded me of a Saturday night back in mid February when DC, SB and I braved the snow for an early dinner at Little Park, Andrew Carmellini’s newest spot in Tribeca’s Smith Hotel. The organic decor inside featuring natural wood furniture and handsome leather bar stools was bright and lovely, a strong contrast to the freezing cold outside. 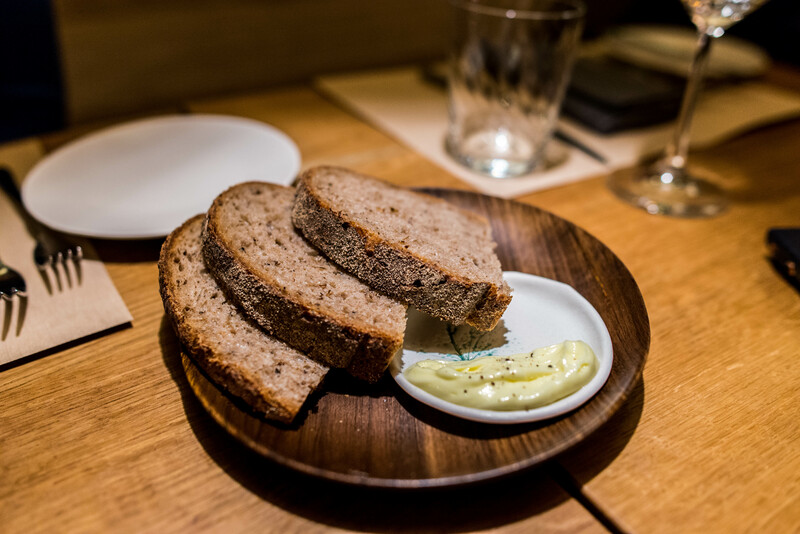 We warmed up quickly with ciders and wine in hand and focused our attention on the menu while nibbling on spent grain breads with cultured butter served at the perfect spreadable consistency. Little Park puts the spotlight on seasonal vegetables, with an entire portion of the menu dedicated to the overlooked ingredients often relegated to the sides section of other menus. 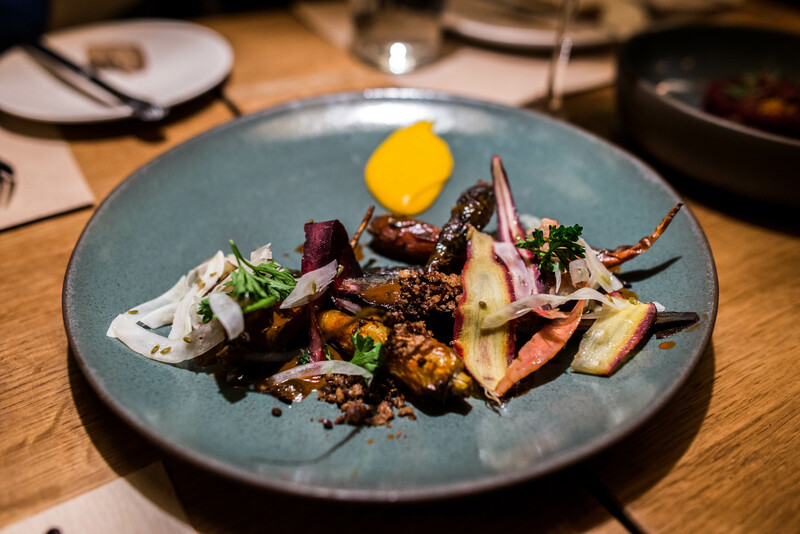 We began our dinner with a trio of winter vegetables, starting with this beautifully colorful plate of heirloom carrots. Some shaved while others left whole, all were topped with a crumb brulee and black garlic, allowing the sweetness of the earthy carrots to shine. Celery root pastrami, a play on a New York classic, was one of the most unique dishes of the night. Roasted with pastrami spices, the starchy celery root was sliced thinly. 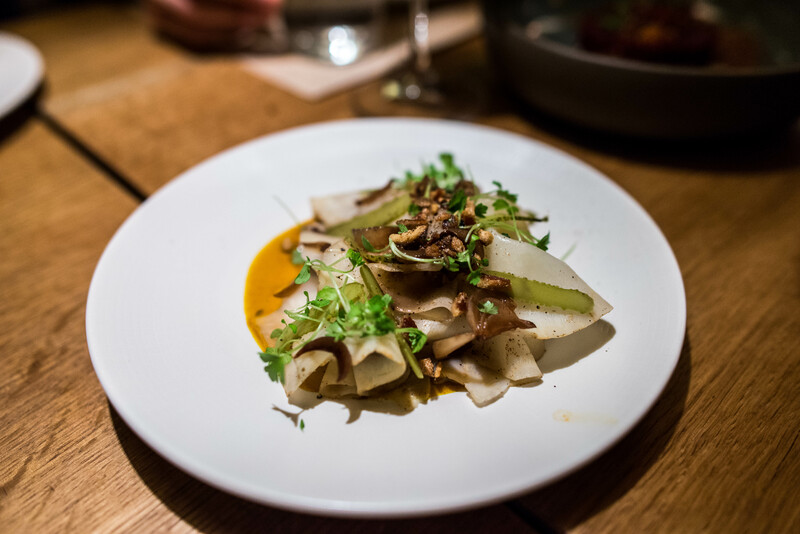 Dressed with pretzel mustard and tart pickles, the subtle flavors were all so familiar yet the textures so unusual that it made us perk up and pay attention. Vegetable tartares have been making appearances on quite a few menus as of late. The refreshing beetroot tartare on Little Park’s menu was just another great example of how you don’t have to make tartares out of meat or fish. 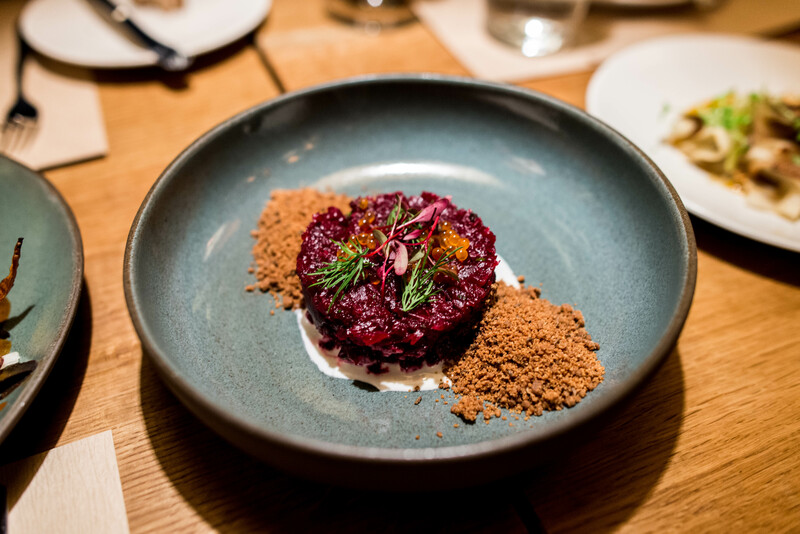 Finely cut ruby red pieces of roasted beets were served with a rye crumble, horseradish cream and some smoked trout roe. With only three pasta options, it didn’t take us long to settle on the whole wheat spaghetti. 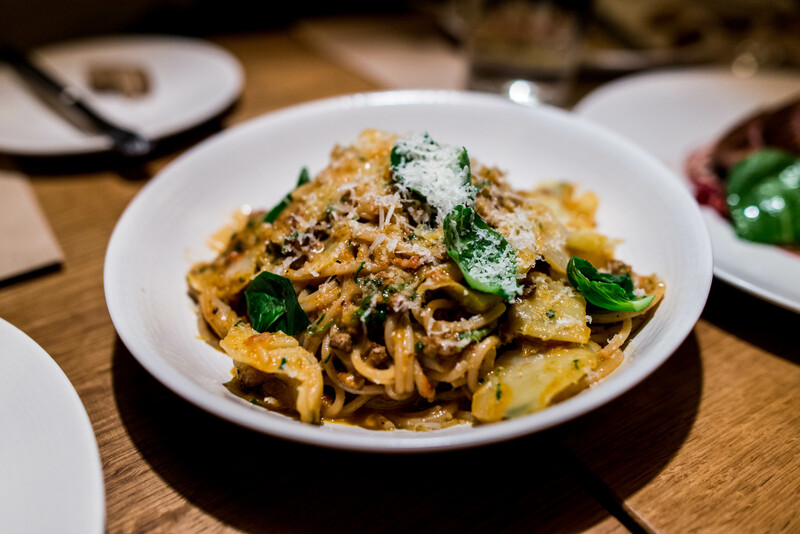 Long strands of toothsome pasta were coated with pork ragu and braised cabbage. This was a perfect hearty dish for the snowy weather. We shared two more dishes to round out our meal. The first was a lovely perfectly medium rare grass-fed hanger steak. Simply served with charred broccoli and green sauce, the flavors were much tame and, dare I say almost ordinary compared to the other dishes of the night. Our second pick from the fire roasted meats section was a dry aged duck & kebab. 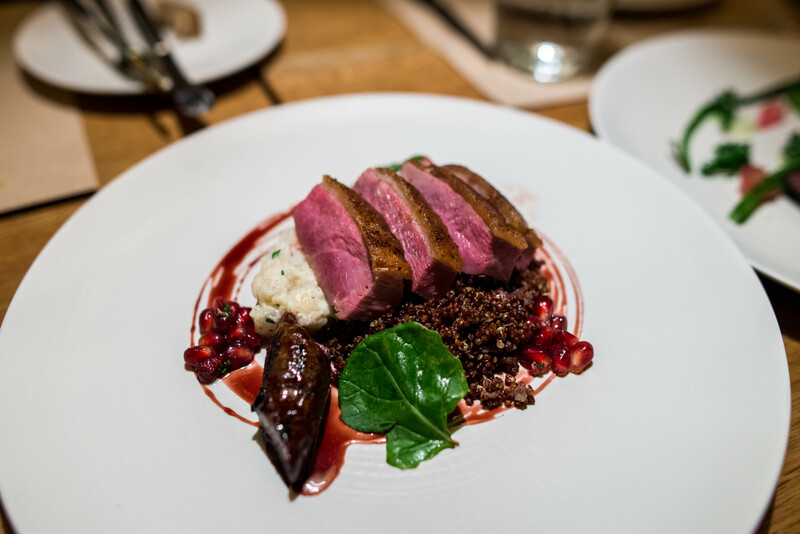 Often overcooked, the dry aged duck breast here was beautifully seared, the perfect medium rare. And the turnip puree and sweet pomegranate sauce were great accompaniments to the flavorful duck kebab and breast. We saved just enough room for a little bit of dessert to end the meal. The pear and milk chocolate tart was an unique pairing that we don’t often see elsewhere. Just make it even more differentiated, a small scoop of white wine sorbet rounded off the dessert. 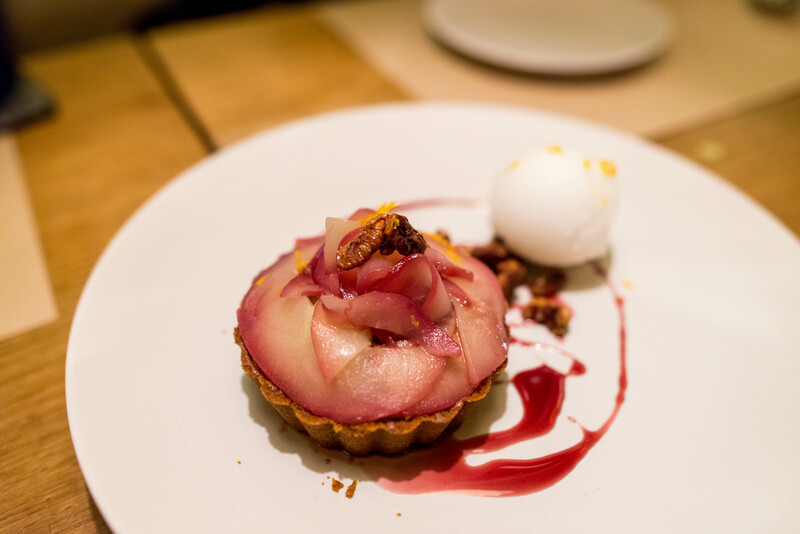 The silky sweet milk chocolate tart served as a good base for the braised pear slivers that were surprisingly mild. For something a little simpler, I chose the cinnamon toast ice cream. 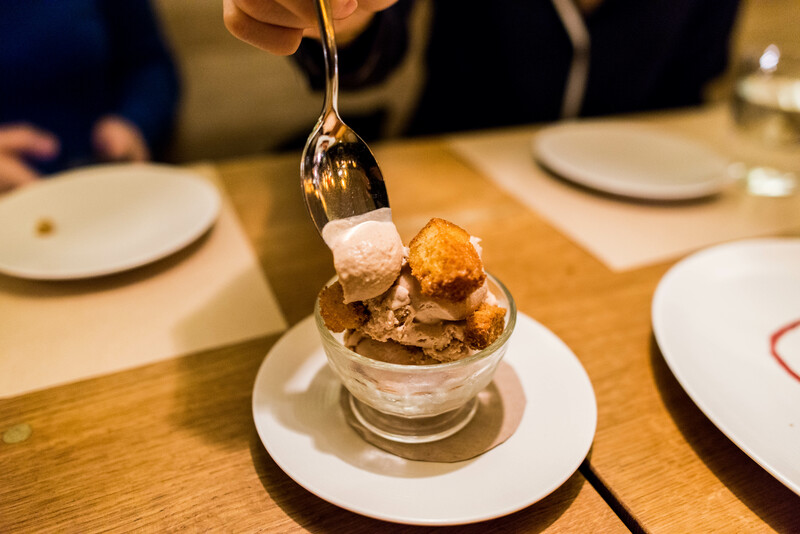 Just the right amount of sweetness, the creamy scoops were topped with large chunks of homemade cinnamon toast for a little crunch. I could have quite content eating an entire bowl of this. It certainly made the wheels turn in my head for my next ice cream machine adventure. The colorful dishes at Little Park almost made us forget momentarily about the weather outside. Now that’s a sign of a great dinner, an experience that lifts us out of our current environment to somewhere where the sun is shining and where vegetables are featured in the lime light, where they should be.